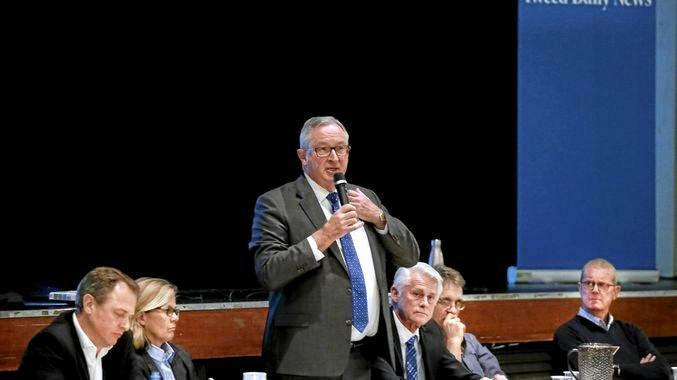 NSW Health Minister Brad Hazzard has lashed out at State Labor for failing to reveal how much it would cost to move the $534 million Tweed Valley Hospital from Cudgen to Kings Forest. Mr Hazzard said Labor was "unsurprisingly hiding the millions of dollars required to cancel the hospital project and start from scratch". "Political parties have the opportunity to have their election commitments costed, however the Labor party has purposely withheld the information from the Parliamentary Budget Office which begs the question, why?" Mr Hazzard said. "There can only be two reasons for Labor's sneaky move. Either they don't want to come clean with how much extra the hospital will cost, or they are not planning to proceed with the project in the next term of Government. "This is a violation of trust for Tweed residents. They expect political representatives to be open and honest, not sneaky and manipulative." Preliminary works at the controversial Cudgen hospital site began late last year and the site was recently rezoned from State Significant Farmland to allow for development, however the hospital's development application is still waiting on approval. If Labor win the State Election this weekend, they have promised to move the site to Kings Forest and off the Cudgen Plateau. Mr Hazzard said the NSW Liberals and National's were the only parties with a fully costed plan to build a new hospital in the Tweed by 2023 and urged the community to get behind the project. "It is vital for the lives of the community that this hospital gets built right now," Mr Hazzard said. "I urge the community to think deeply about this project and whether they are willing to wait at least another decade before they can access a new facility. "This is not about where the hospital is built; this is about the lives of people living in the Tweed and whether they matter." 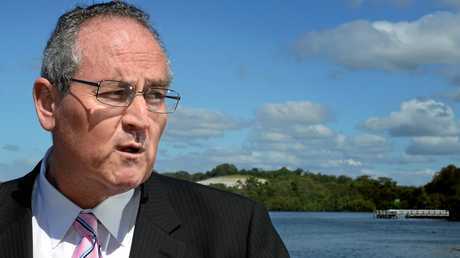 Shadow Health Minister Walt Secord described Mr Hazzard's claims as an "election-eve rant" which was "bizzare, confused and absolute rubbish". He did not answer a question on how much it would cost to move the hospital to Kings Forest. Instead, he demanded Mr Hazzard rule out any privatised health services at the new hospital. 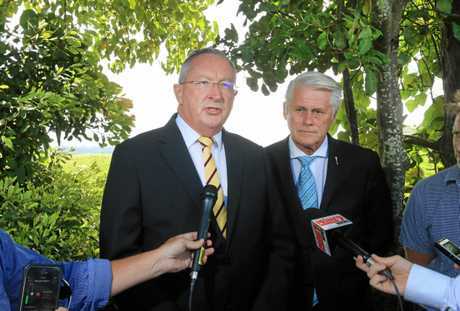 "Mr Hazzard and the Nationals are ignoring the community," he said. "They know that Labor's plan will see the Tweed Valley Hospital delivered on-time and on-budget - while the National Party plan will be a developer's feast - allowing them to lift height limits in Kingscliff and develop Cudgen farmland." State Labor candidate for Tweed Craig Elliot again said this Saturday's election would be a referendum on the location of the new Tweed Valley Hospital. "The voters have a clear choice. 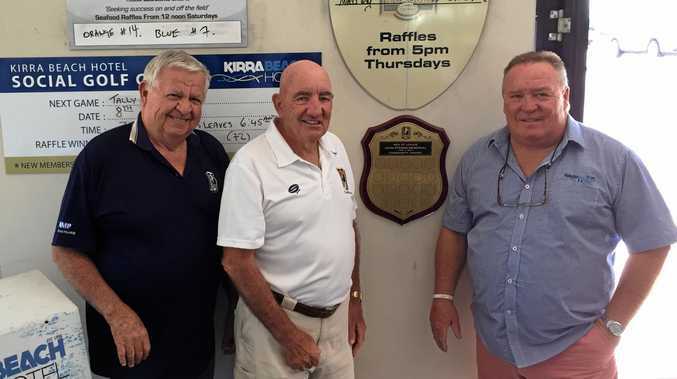 They can vote for Labor and protect Cudgen farmland or they can vote for Nationals and their developer mates, who have yearned for years to get their hands on Kingscliff," he said. "The developers are salivating over the Nationals plan to open up Cudgen and Kingscliff to Gold Coast-style over-development."